Director Radha Krishna Jagarlamudi (Krish), the talented filmmaker, is now busy with the shoot works of Balakrishna’s 100th film Gautamiputra Satakarni. 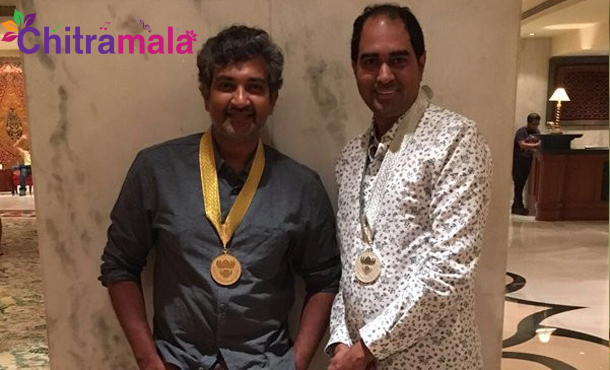 The director has won a National Award recently for his film Kanche. The award presentation ceremony was held at Delhi a couple of days back. Soon after accepting the prize from the government, Krish has decided to donate the prize money to Basavatarakam Cancer hospital. This decision of his has been bringing a lot of praise and appreciation for the director. Krish posted on Twitter that he will donate the money to the Basavatarakam Cancer Hospital in Hyderabad where his mother was also cured. “I’m donating d Natl Awrd prize money to Basavatarakam Indo American Cancer Hosp which treated my mother & many with utmost care n excellence.” Krish Jagarlamudi posted on Twitter. GautamiPutra Satakarni’s regular shoot will start from 9th of this month.